We provide state-of-the-art health care in obstetrical, postpartum, paediatric and neonatal inpatient and ambulatory services at Quinte Health Care. We are pleased to assist women and their families during the birth of about 1,500 babies per year. 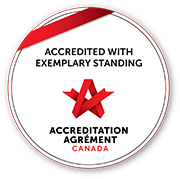 To support our clients and staff, certified lactation consultants are also part of our team. For labour and delivery patients, please visit our informative "Having a baby at QHC" section. Our social worker and nursing staff have assembled information from what to bring to hospital, where to access prenatal and breastfeeding information, to helpful links and community resources for postpartum support. For pediatric patients, please visit our informative "Caring for your child at QHC" section. Our social worker and nursing staff have assembled information on a variety of topics including breastfeeding, child development, accessing mental health support and helpful links to community resources. The Paediatric rooms include sophisticated monitoring capability and specialized air management systems. The design and décor complement the special needs of the hospitalized child. Sophisticated lighting, communications, infant and child security systems, heat recovery, and air handling systems, piped nitrous oxide, clinical equipment housed out of sight in wall cabinets, and point of care technology are some of the state-of-the-art features on Quinte 7. 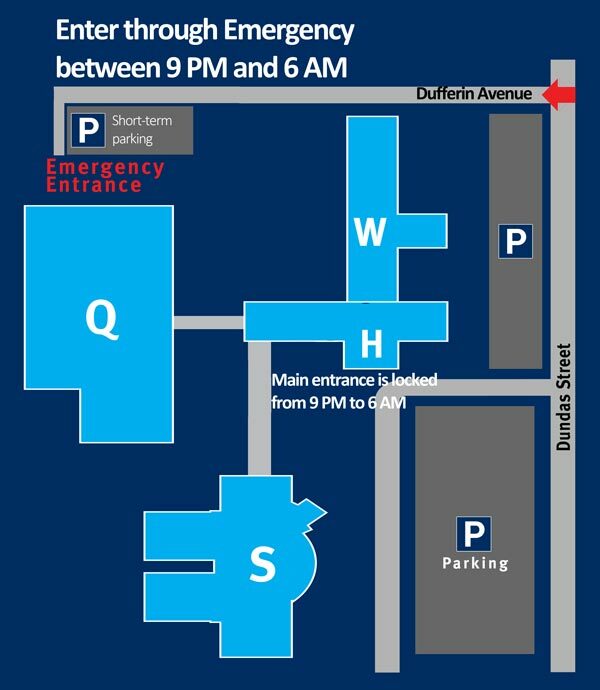 The BGH main entrance and Sills entrance are closed between 9 p.m. and 6 a.m. All patients and visitors can access the hospital during these hours from the emergency entrance at Dufferin Ave.